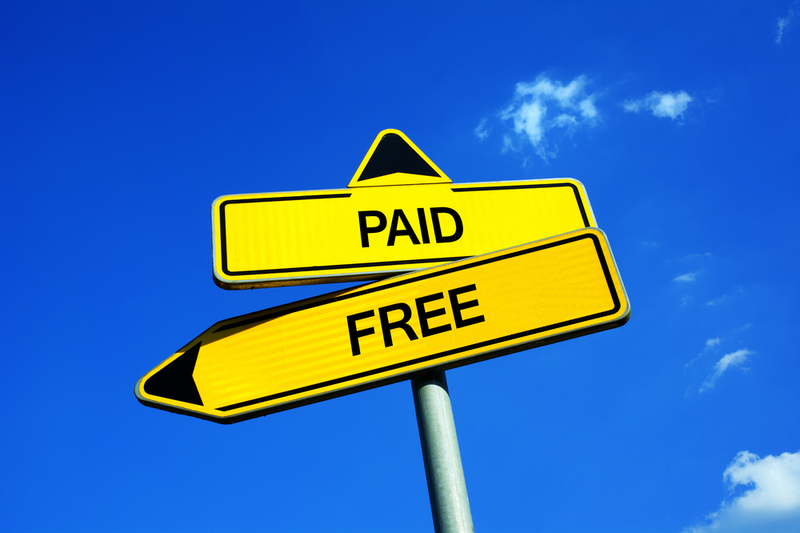 The word is out – free traffic is not really free. But, how can that be true when we’ve been taught search engines will send us free traffic? Fact: There is no such thing as free when it comes to web traffic. 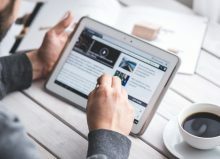 Sure you can end up with visitors to your site, but there are no guarantees on when they may show up or if they’ll ever arrive. Therefore, a time factor enters into the equation. Let’s take a look at 8 compelling reasons that helps us determine the reality of free vs paid traffic. This is the most obvious reason as when you take a close look, you can easily dissect why free traffic is not really free and why paid traffic actually costs you less. If you have more time than money you may opt to wait for free traffic. But how long can your business wait? For instance, let’s use a simplistic formula. How much do you feel your time is worth? $10, $25, $50, $100 or more per hour? Now simply multiply your per hour worth by how much time you put into your free traffic marketing. You’ll realize you’re losing more money in time than it would effectively cost to bring traffic to your site using paid traffic. In this model it would be very easy to lose track of time, however, keep in mind a real business can’t afford to lose track of hours like that. You also must consider that you can never replace lost time. Time is your most valuable commodity not only in life, but in your online business as well. It’s something that you must learn to use wisely. In essence, if you are building web sites and waiting for traffic, you are most likely losing much more money and time by not investing in getting traffic now – not later. There was a time when free web traffic was available and profitable. However, as Google advanced their technologies, new algorithms also became much more advanced as well. Nowadays we are in the age of artificial intelligence emerging and the mindset that you can outsmart Google is more out of phase than ever. Google created the world’s largest ad inventory system with their Adwords and Adsense programs. This proliferated paid advertising across the Internet and changed the face of how products are sold online. Since then, new, unlimited ad networks have cropped up everywhere and the race for paid ad campaigns have dominated keyword search ever since. With huge corporations willing to bid high on the same keywords you want, your chances at free search traffic continue to dwindle. And while it’s true, long-tail keywords are alternatives to deep niche traffic, the rush is on by top marketers to claim all the best keyword incarnations where competition for free search positions is all but drying up. In other words, Google’s free search engine box is their way to keep consumers searching for answers to problems and pleasures. On the other side of the coin, they have made it clear to businesses, to get consumer eyeballs; you have to pay to play. This clearly sets the stage against free traffic over to paid traffic if you want to build a sustainable Internet business. Even Facebook has adopted the paid traffic model to monetize their platform. Sure, it started out mostly free till they established a huge audience and perfected their ad platform. Free sounded great and everyone jumped onboard for the free smorgasbord of free fan page posts. You could post for free as far as the audience of fans you built. Free was the word. But free was only free until they revved up their paid ads more and began limiting your post reach. That is, unless you are willing to pay to boost your posts to more of the free fan audience you built. The pattern that free is the lure and paid is the cure. Because unless you are a serious expert in getting free traffic (which has become a dead or dying art) the hands-down best way to bring traffic to your site is by paying for it. Free traffic generally takes many months to see if your site is acceptable by Google to get indexed. Even when you start seeing your listing, how much targeted traffic can you expect from it? No one really knows the answer to that so easily. You can guesstimate but that’s no way to base things in a real business if you’re dedicated to making a living online. If you are passionate about a topic and love writing on it, then sure go ahead and create an authority site. You may get lucky and rewarded with free traffic. But in today’s crowded search engine market, you can’t count on that any longer. Doing it that way makes it a labor of love but it’s not a good business model. With paid traffic, targeted visitors will show up instantly. And, if you do your keyword research correctly, these are people who are already interested in what you’re offering. You can see the results instantly with paid traffic – not 6 months or a year down the road, if ever, like when using free traffic. With paid traffic, you can depend on visitors showing up to populate your site or offer in a short time span. This allows you to evaluate your marketing plan and adjust it accordingly. With free traffic, you cannot depend on when visitors will show up. This makes it hard to track how well a product or offer is selling while more time slips away. Paid traffic is controllable and you can turn it on and off, at will. You can gauge when and where you want your ads to show up and how big or small of an audience you need to target. In contrast, free traffic is random in nature. You have no real control over it but can only set search engine optimization (SEO) parameters to try to forecast getting the visitors you need. The predictability of your market with paid traffic is much more precise than with free traffic. When you pay for traffic, you can manage it at a level free traffic cannot offer. For instance, if you are targeting a seasonal market, with paid traffic you can be sure to hit your target audience in a specific time-frame. This is not nearly as easy with free traffic. Many times when a market becomes over-saturated, other free sites try to get indexed for your same keywords and the influx of sites will shake up the search results. With paid traffic, you simply get your paid visitors over to your offer when you need them. When it comes to scaling up traffic, nothing beats paid traffic. Sure, there is free viral traffic but with that, there are other pending factors that make it go where you have to get lucky, like a trend or a fad that just happened to catch on. With paid traffic, it allows you to scale up as you go. You can test a small amount of traffic to make sure your offer is selling. Then once you have perfected your ad and you know it converts to sales, you can start trading pennies, nickels and dimes for high-dollar profits by scaling up. 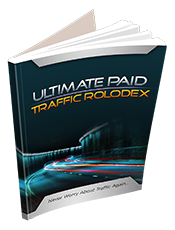 With free traffic, this is not possible to double, triple or quadruple your traffic at will. Bottom line, if you want real traffic results, paid traffic gets you there faster and if time is money, that also makes paid traffic cheaper and more profitable too. for number 3, you mention how Facebook changed from free pages to Facebook paid boosts (if you want your audience to see it). Do you think Facebook groups will follow the same path? Right now, when you post something in your closed group you dont need to pay for a content boost. Hi Ike, I doubt they would charge for their groups. That would defeat the purpose of a “group’ and there are so many other free alternatives. Hi,this is an informative article spot-on. I can’t agree more with you more. Paid traffic is the way to go since ROI beats the expense any day if you know how to target. One thing would like to ask from you since you been around this game for long, which is your all time best paid traffic source? If Solo ads where did you buy from ? Excellent post! Great information. I came to the same conclusion a couple of years ago that paid traffic is best in most cases. I just haven’t had the time or money to experiment with paid traffic sources. Great points Gauher.. Thanks Mate!